We are please to invite you to our final showcase. We had finally complete our 4 month program and we put together a beautiful theatre piece that reflects what we believe about immigration. 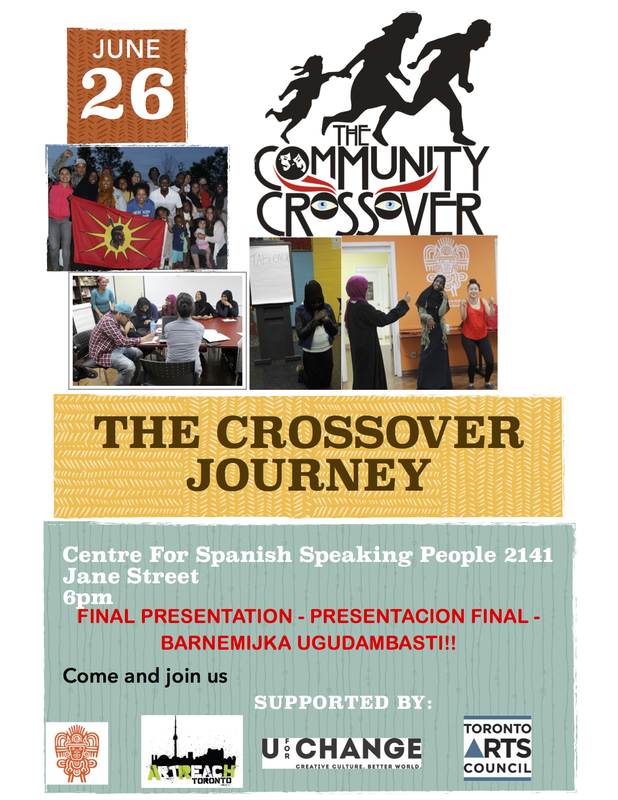 “The Crossover Journey” is a collective creation from the members of the program alongside within collaboration with people that give support telling us their story about this topic. We will be very please to count with your present. Come and celebrate with us this happy moment.